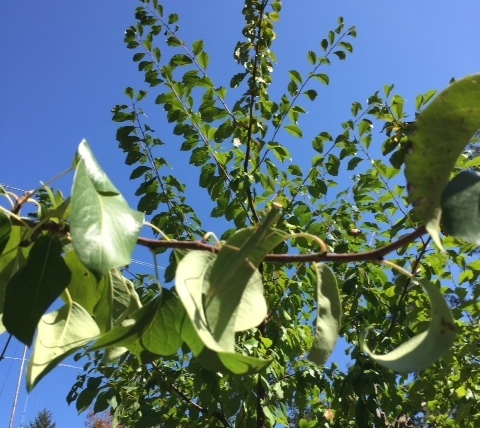 I’ve been sporadically snapping photos of what’s been happening in the orchard during the past couple months. Hope these inspire you to get outside today and enjoy the last day of summer! 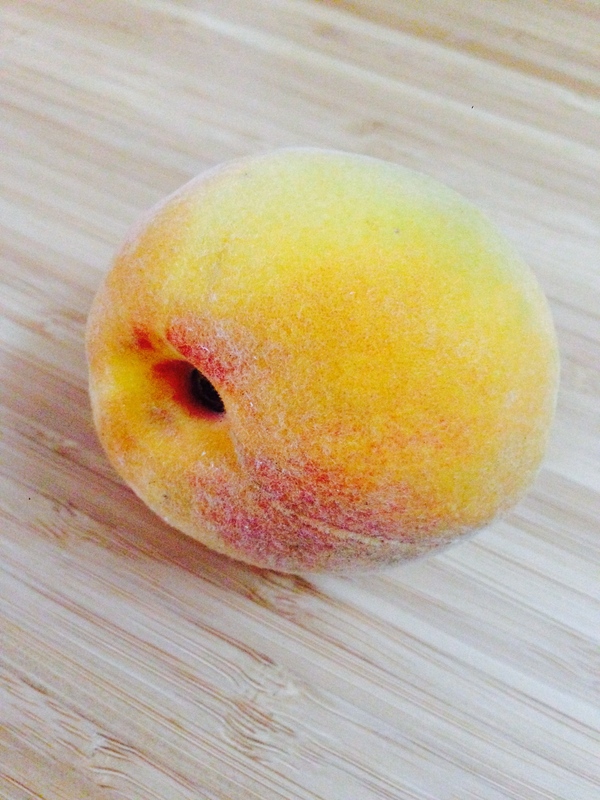 In early August, I picked the last peach of the season. 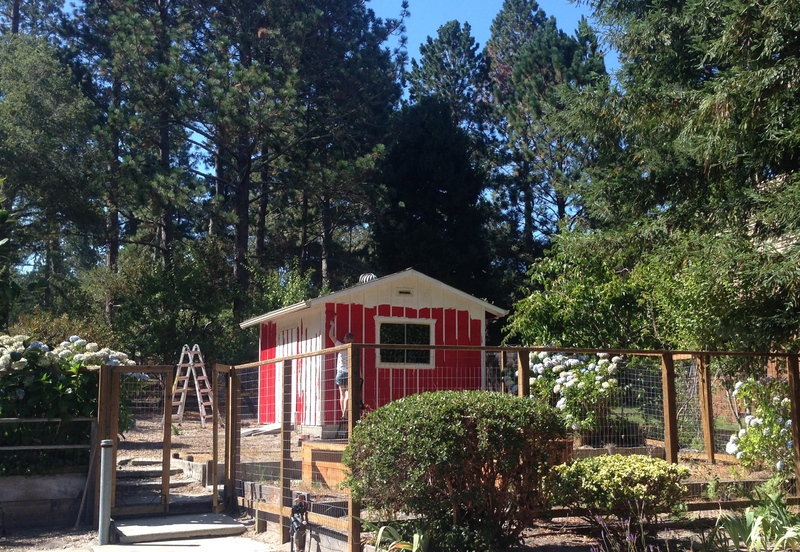 With the help of some good friends, we painted our shed. 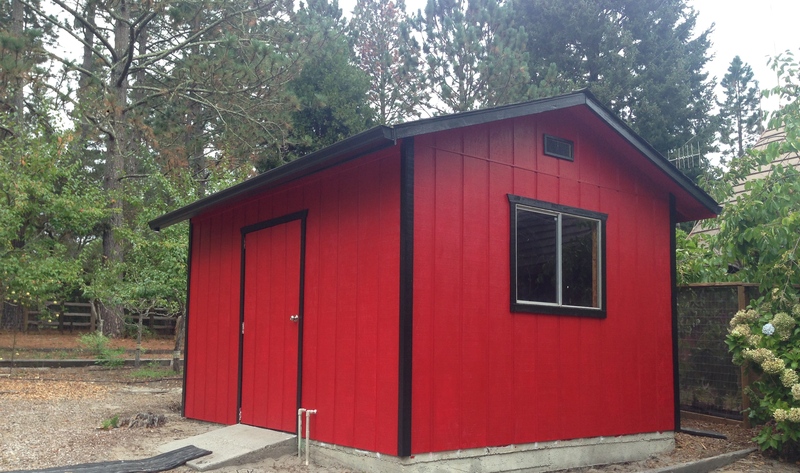 The freshly painted shed! Someday we’ll add a barn quilt. This article explains how barn quilts were used with the underground railroad. 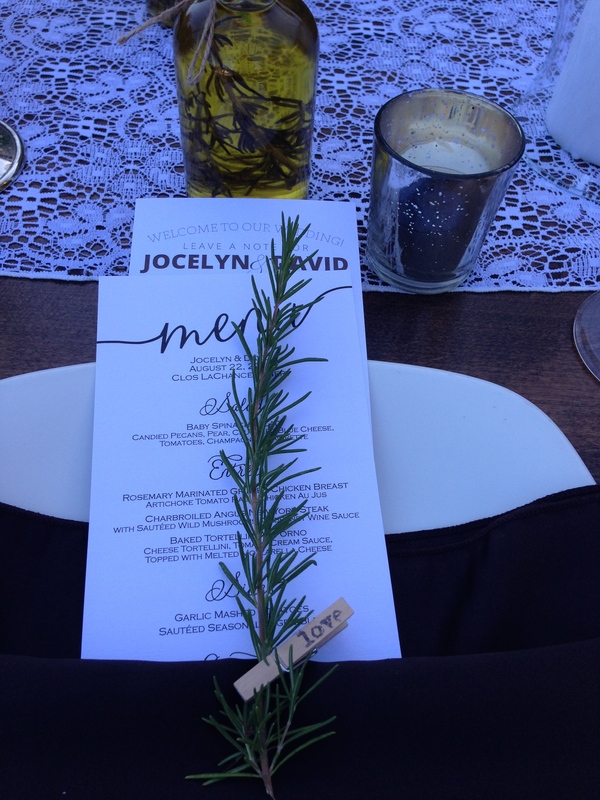 Our friend’s needed rosemary for the place settings at their wedding. 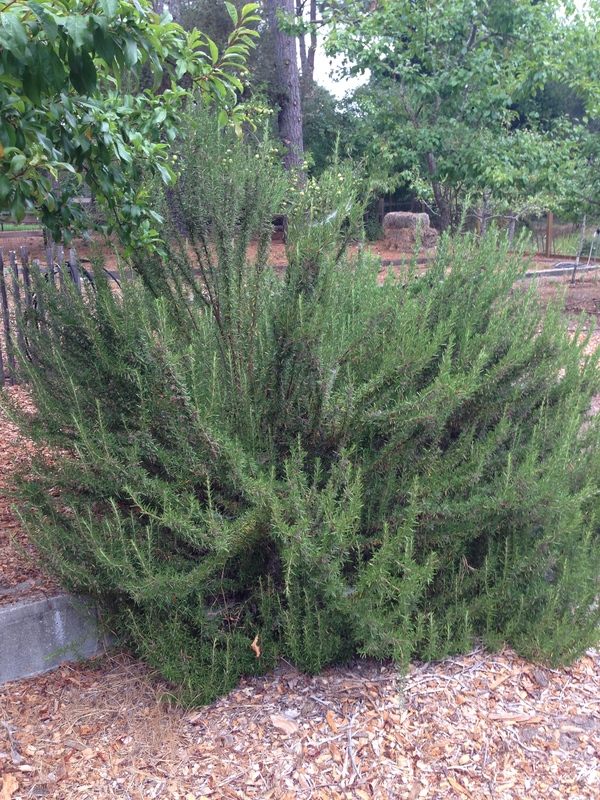 My overgrown rosemary bush was easily able to spare 150 sprigs! The rosemary making it’s “debut” on the place settings. 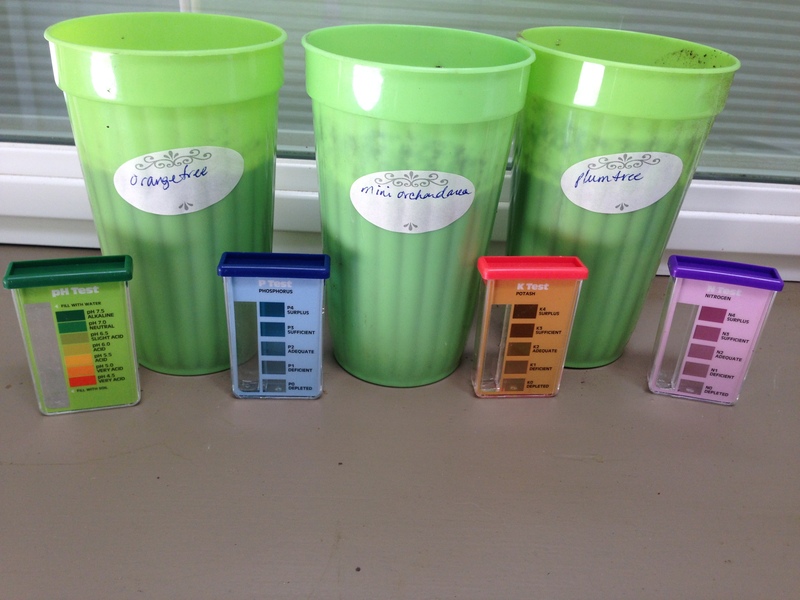 I tested the soil throughout the orchard to help determine which cover crop to plant this fall. Turns out, the whole orchard needs more nitrogen! In late August, the Pippin apples were getting big. 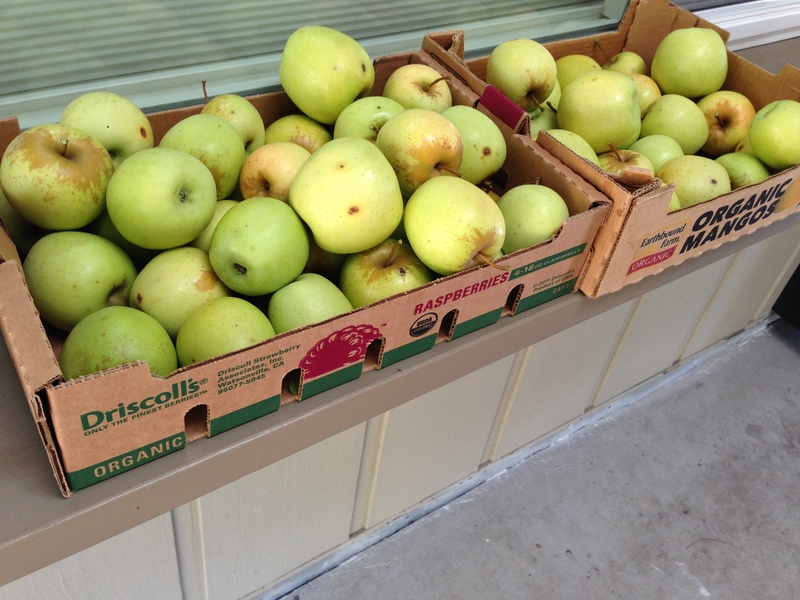 A couple weeks ago, I picked 20 pounds of Pippin apples! 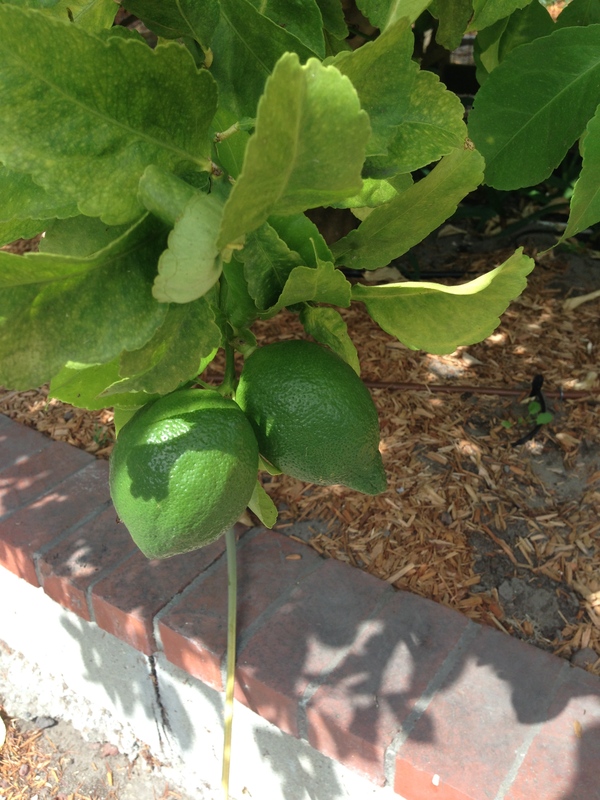 The fruit on the lemon tree is starting to grow. 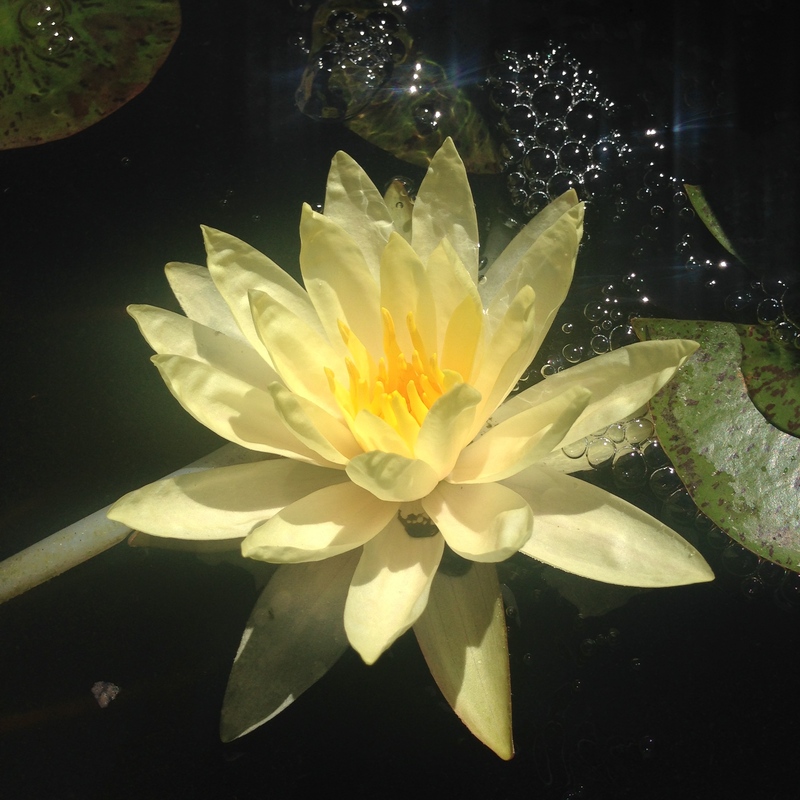 This pretty flower bloomed in the bee pond last week. Yesterday, this cool praying mantis flew by and landed on this leaf. It blends in on the middle leaf, look close, and you’ll see it! What are your plans on this last day of summer? I’d love to hear what you’re doing to enjoy the day. 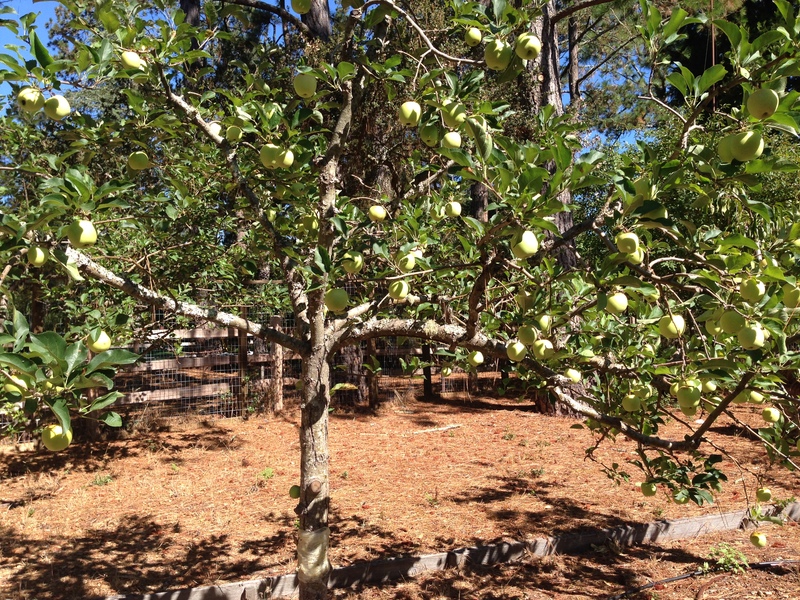 Categories: Orchard, The Backyard | Tags: Apples, Barn Quilt, Harvest, Lemons, Rosemary, Shed, Soil Testing, Summer, Weddings | Permalink.